A warm June evening, a local tradition: the students of Nantucket High have gathered for a bonfire on the beach. But what begins as a graduation night celebration ends in tragedy when Penny Alistair's car crashes, leaving her dead and her twin brother in a coma. The other passengers, Penny's boyfriend Jake and her friend Demeter, are physically unhurt - but the emotional damage is overwhelming. As summer unfolds, details of that devastating night continue to surface. Questions linger about what happened before Penny took the wheel, and startling truths emerge about the survivors and their parents: revelations of secrets kept, promises broken . . . and hearts betrayed. As soon as I read the tagline on the front page, I knew this was going to be a great book to read. The story revolves around Penny, her twin brother Hobson or as many people call him Hobby. It also includes their friends Jake who was Penny boyfriend, Ava, Demeter and Zoe. The story is set in different people's point of views, so you can get a feeling about their feelings and thoughts after the tragic accident. The story is split into three parts, the first covering June/July, the second covering August and the third and last covering September. This book reflects on a lot of pain that is experienced by the characters surrounding the accident that Penny died in and how it effected the people that were close to her and her family. This book is covers the months after the accident happened and nothing is as it seems. There are lies that will come to the surface and also the hearts and promises that get broken in the process of the truth when it is finally revealed. This is perfect read for the summer, with it deep and meaningful story line and the characters that will move you with their story about that fateful accident. Each character reacts differently the events that unfolded that summer and every of them will never be the same again following the damage that has taken place within their lives. After reading this book it will open your eyes to how one accident can change the lives of everyone that is connected and how it will change their lives for the better or worse depending on how you look at it. This story is about the highs and lows, of a summer that will change everything you knew and thought of everyone around you. If I had to sum this book up in one sentence it would be, 'A tragic story that will tug on your heart strings from the first page'. This is a brilliant book that stay with you after you have finished the book. 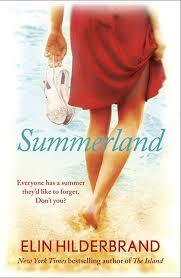 Summerland is out now to purchase. 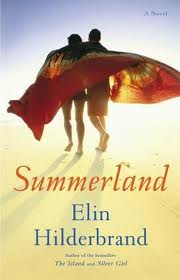 If you love Diane Chamberlain then you will love Elin Hilderbrand.